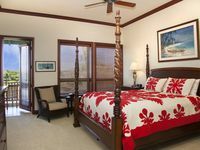 Waikoloa Beach Resort offers the choice of two golf courses – the Beach Course and the Kings’ Course. Each course presents the player with a unique challenge, but both provide a fun and enjoyable experience that encourages a return visit. Like its counterpart, the Beach Course was formed out of an ancient lava field. The result is a golf course full of vivid green fairways, sparkling blue water, stark black lava, and colorful flowers dotting the landscape, a stunning contrast. Other features that add to the Beach Course experience are the second biggest petroglyph field in Hawaii, age-old burial grounds, and remnants an ancient fishing village. 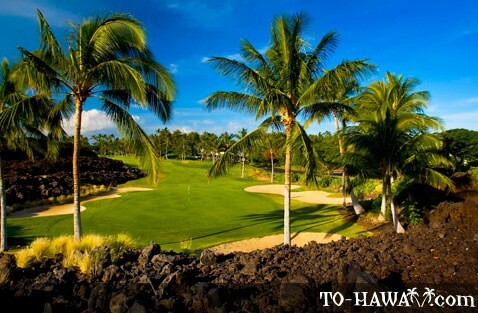 The classic 18-hole, par-70 Beach Course was designed by Robert Trent Jones Jr. At around 5,100 and 6,600 yards from the forward tees and the tips respectively, the course winds its way through an avenue of coconut palm trees and lava rock, down to the breathtaking Pacific Ocean. This course is designed to arouse every player’s sense of adventure, aided by the stark, windswept lava coastline as it is washed by the powerful waves from the mighty Pacific. On a technical level, this course is suitable for every player, whatever their skills level. 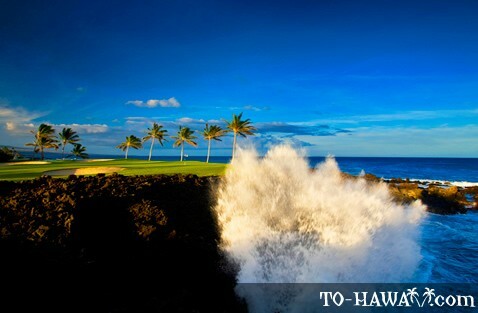 It is considered one of the most enjoyable and playable courses on the Big Island, challenging enough for professionals but easy enough for the less experienced golfer. Beach Course has no less than 75 large bunkers and an abundance of water features. There is, for instance, a large pond much wider than the putting surface protecting the generous green at the memorable par-4 second hole. The 502-yard, par-5 twelfth hole, which doglegs to the left, is a real gem. Here, Anaehoomalu Bay guards the fairway on its far right side and stretches around two sides of the green. The signature hole at Beach Course is the seventh, which is located on a lava peninsula and surrounded by a ring of coconut palms. The waves crashing below, causing sea spray to shoot up into the air, just adds to the dramatic vista. Depending on the season, players may even spot a few humpback whales or spinner dolphins at work or play. A camera is a must here! 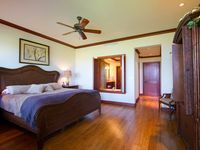 Facilities at Waikoloa Beach Resort include golf carts, club rentals, driving range, pro shop, a full-service bar, and a choice of eateries. The pro shop offers a wide range of fashion clothing, shoes, accessories, logo merchandise, and golf equipment. Home to the King’s Grille and The Tropics Ale House, visitors to Waikoloa Beach Resort can avail of a varied and innovative choice of food, a selection of local and imported beers, and other beverages. 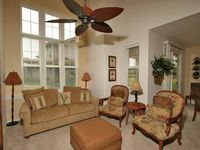 Upgraded 3 Bedroom Villa. Short walk to beach! 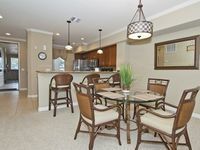 101 - 2 Bedroom Town Home, Close to Pool, Great Location! 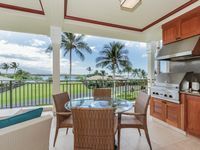 Lap of luxury, three bedroom, three and a half bath condo with ocean view, golf nearby, walking distance to beach, Kolea 6B, In Waikoloa.